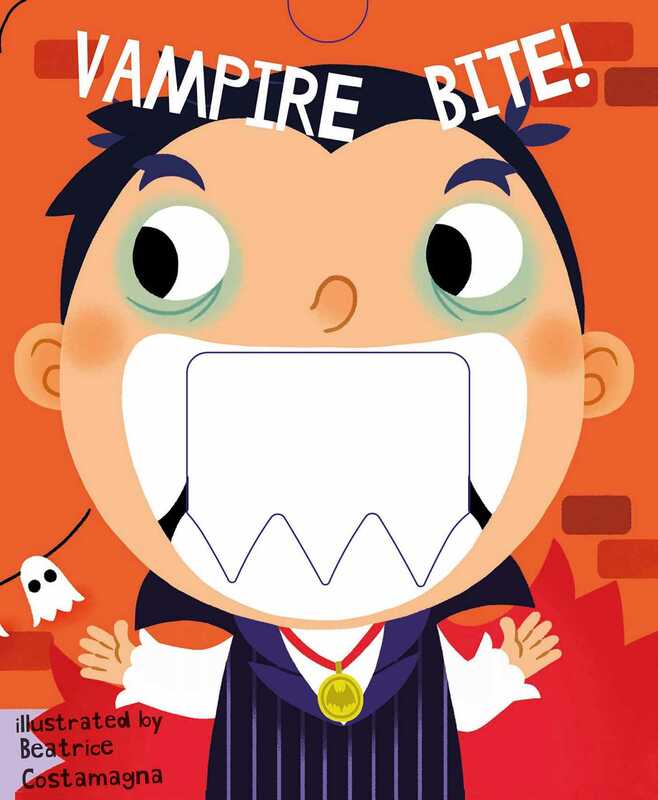 In this interactive board book, kids will love pulling the tabs to make Victor the vampire show off his scary Halloween costume by snapping with his teeth! Victor the vampire wants to show off his scary Halloween costume, but it isn't quite working out as he had hoped. Will he be able to scare anyone, or will a surprise visitor scare Victor in return? Kids will love this interactive board book with sliders that allows them to make the vampire's mouth take a big bite...or snap shut! Book Cover Image (jpg): Vampire Bite!